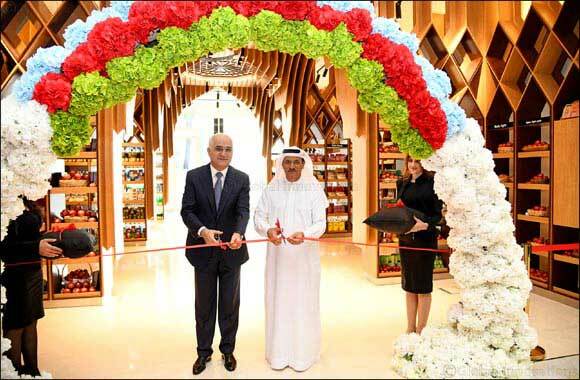 Dubai, UAE, January 17, 2019: Due to the consolidation of bilateral relations between United Arab Emirates and Republic of Azerbaijan, Azerbaijan House Dubai held a successful grand opening ceremony on January 15, 2019 at the Mall Jumeirah, in the presence of His Highness Sheikh Sultan Bin Saeed Al Mansoori, Minister of the Economic of the United Arab Emirates and Shaheen Mustafayev, Minister of Economic Development of Azerbaijan, as well as VIP personalities, Media Celebrities and Social Media Bloggers. The UAE has been chosen to be the business centre for Azerbaijan Trade for its cultural and social diversity, as it is home to over 200 nationalities and is governed by a legal system that respects their residence’s beliefs, customs and traditions; thus, the Republic of Azerbaijan has reached its goal in spreading the uniqueness of the Azerbaijani traditions and culture in the UAE. Azerbaijan House is now home to all nationalities and is keen to transfer its hospitality to the heart of United Arab Emirates.